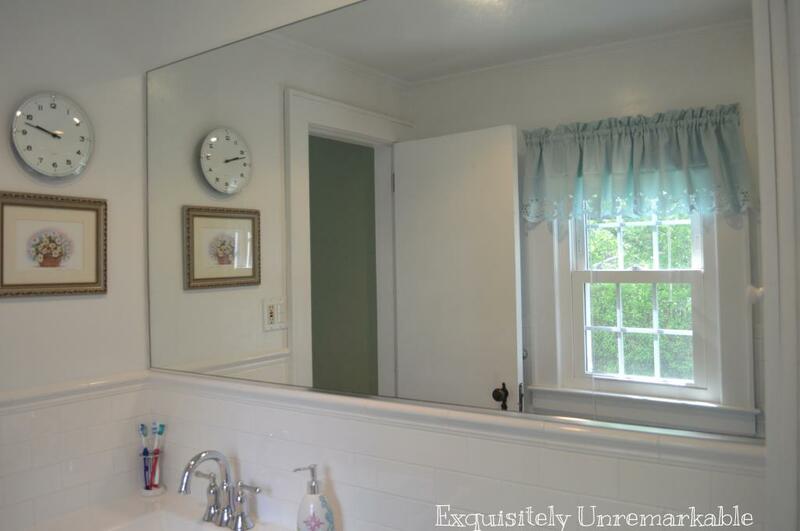 Update a bathroom with a few quick accessory swaps. 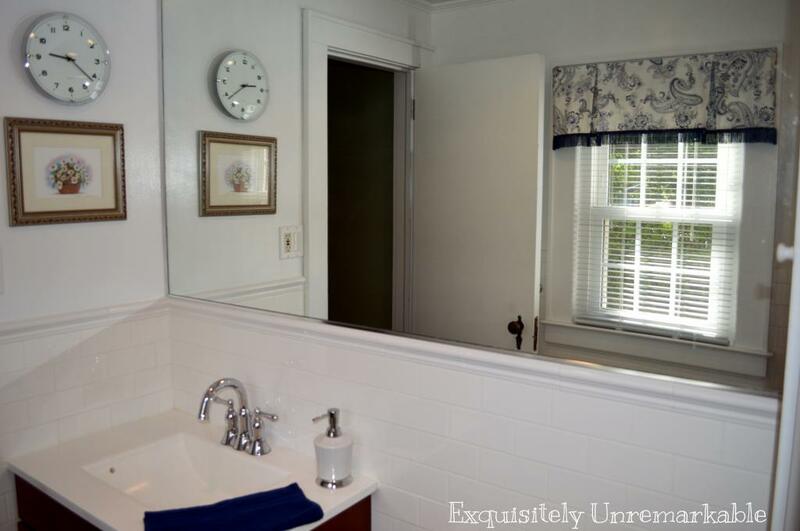 Two summers ago, we finally renovated our master bathroom. When we moved into our home, the necessary renovations were so extensive that I needed one construction free room in the house to escape to each day. My bedroom and small attached bath became my sanctuary. I was so scarred from all the demolition and mess that it took me eight years to get the nerve up to have another go at it. 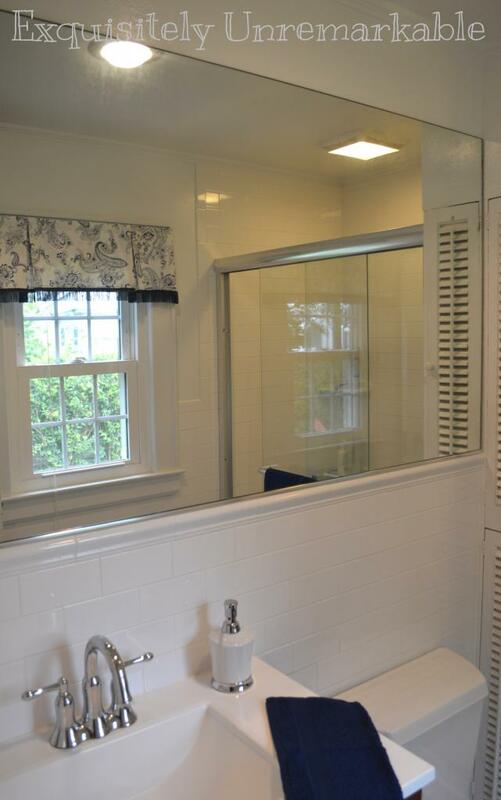 It was an awful yellow bathroom circa 1964. It was tiled floor to ceiling and it was horrible. When my husband renovated it, everything was white and bright and I love it. 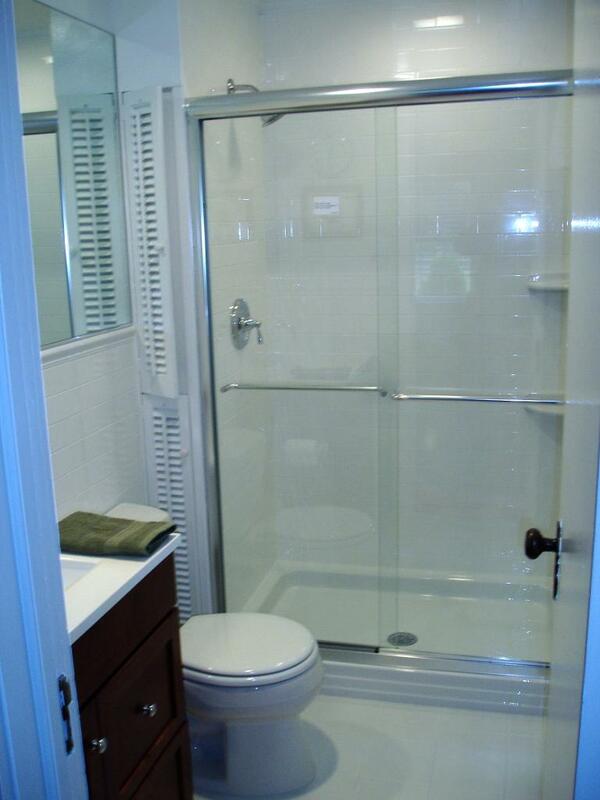 While we agonized over the perfect tile and fixtures, I did not put a lot of thought into the accessories. I saw a few pretty teal towels, picked up a lackluster curtain to match and I was done, but it never really sat well with me. Earlier this week, I hit the fabric store in search of something bright and pastel, in the same teal family, but fell in love with this blue fabric instead. It was only $6.99 a yard. The trim was a ridiculous $1.99 a yard, so for about $12.00 I had all I needed to make a brand new curtain. On the way home, I stopped at Kmart and, lucky me, they were having a buy one get one sale on towels. I picked up two hand towels and two floor mats to match and grabbed a plain white soap dispenser on the way out. I am normally not a blue girl when it comes to decorating. 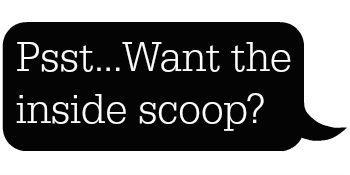 I love the color, all shades of it actually, but it has just never made its way into my home (except under duress, like in my daughter's bedroom!). I am always drawn to the reds, greens and yellows for some reason, but I just adore this fabric, it really looks so elegant in the space. 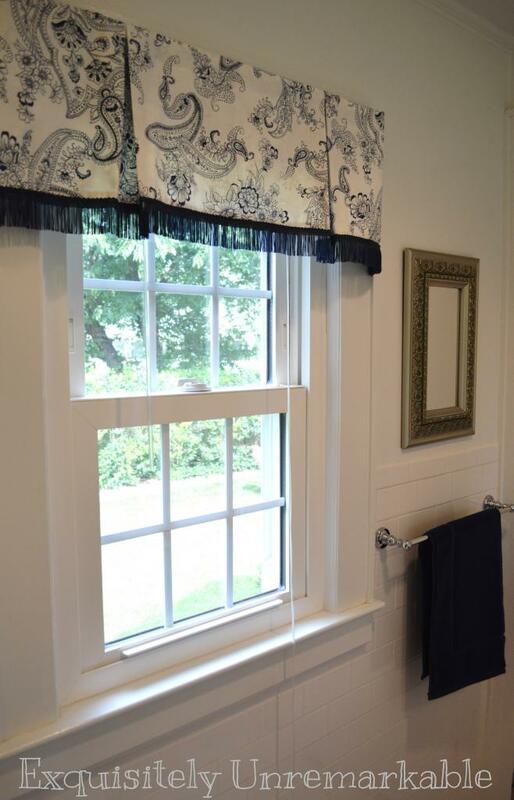 The custom curtain adds the perfect polish to my husband's handiwork! Of course, now he's going to have to remember to buy blue tissue boxes instead! Oh boy! Check out the tutorial for this cute box pleat valance. It looks so shiny & clean in a bathroom. Your curtain turned out 'high dollar' looking for the cost. Love it~! Looks great! 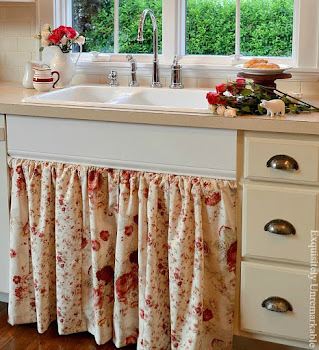 I love those valances! Thanks Karen, I really like them too! :) Who knew I would love blue so much! Thanks Michelle, it's a bit out the box for me, but I do like it! I think I may be a blue convert! I love the material choice too! Nice job on the curtain. Thanks D! I just fell in love with the material! Such a great bathroom. I agree with the comment above-- it's so clean!! !